Budgets need to be constantly monitored and assessed. As a management tool it plays a fundamental role in the planning and controlling an organization’s finances. For you personally it is a major indicator to your manager of how well you have performed and forms a key part of any management appraisal. It is very rare that you will receive a budget that has no alterations through its annual existence. Senior management are always refining budgets as the financial year progresses as they take into account actual performance compared to targets and forecasts. Identifying the main financial priorities for your organization and then incorporating them into your budget is an essential management skill. Capital Budget – relates to equipment and machinery costs that exceed a year. Sales Budget – this monitors projected revenue with actual revenue, reporting on any variance up or down. Expenses Budget – this monitors day-to-day expenses, such as payroll, training, purchase of department resources and agencies, stocks, marketing, sales, IT, licences, compliance etc. It is critical that as a manager you understand your organization’s budgetary process and reporting requirements and present a balanced budget at all times. By carefully monitoring your budget (Link this to Monitoring a Budget Template) you will quickly identify variances as they happen and respond swiftly to contain costs. This prevents the necessity of having to take drastic action caused by the unchecked spending. There are several considerations you need to address when compiling a budget (Link this to Creating a Budget Checklist). First, establish a level of priority for each activity you need to perform to meet your targets. Then for each activity define what resources are required and if relevant how much revenue the activity is expected to generate. A significant part of this calculation will relate to all aspects of staffing costs e.g. salaries, travel, office space and equipment etc. In the majority of organizations the composition of a Budget Steering Committee will comprise of those on the executive board. Each individual must be able to sign off expenditure at the highest level and have detailed knowledge of the full business development plan. Each member of this committee will have a responsibility to its shareholders, funders or stakeholders to define and meet their expectations. This is usually focused on financial rewards, but many organizations are now required to demonstrate tangible environmental and social responsibility too. Every organization will set its own scheduled review periods for reporting on budget status. This is usually monthly or four-weekly as within such periods sufficient change will have occurred that variances will be discernible. Whatever the official reporting structure is must NOT set the timeframe of your personal regular budget reviews. 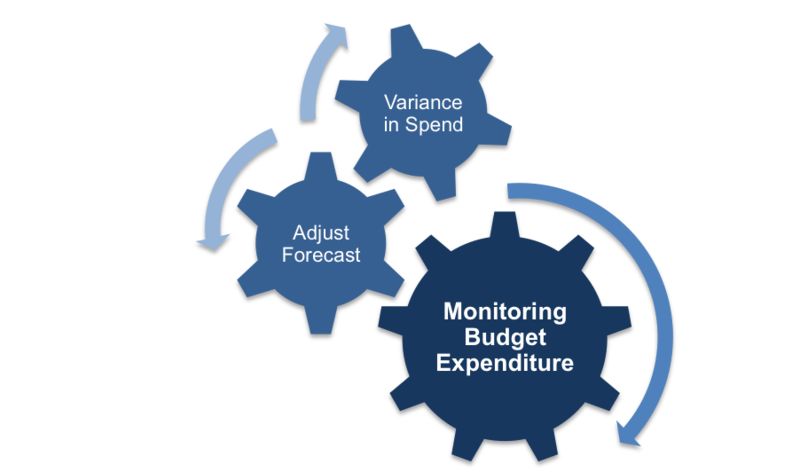 The only way to efficiently manage a budget is to be constantly aware of how it is performing against the planned and the latest forecast of expenditure (Link this to Forecasting a Budget template). Always being mindful of potential risks or issues that could threaten an over-spend or significant under-spend. The seriousness of an under-spend should not be underestimated because this will almost always result in a considerably reduced budget figure being given for the following year. This lower figure could cause major problems in meeting targets. This causes problems for organizations because budget holders will ensure their whole budget has been committed or spent by the end of the financial year. This is regardless of whether, or not, the activity, service or product it purchased helped attain set targets, or brought any benefit to the team, department or organization. Some organizations are adopting a more ‘open book’ approach to budgeting. This means that all budget holders have knowledge of the overall value of each others budget and how that contributes to its growth. This internalizes a procurement process many corporations and public entities readily use with external supplies. It is easier to implement this approach in smaller organizations that are less prone to ‘internal politics’. The use of ‘open book’ budgeting requires a change of mindset within the political make-up of organizations. It requires budget holders to see the overall advantage that years allocation of funds has in terms of growth and longevity of the organization. Also an acceptance that next year may see their budget reduced so another area has the necessary funds to develop so that the whole operation can improve productivity and profitability. For you as budget holder it is advisable to schedule an amount of time every week that enables you to update, review, (Link this to Monitoring a Budget template) make any required amends and forecast the forward expenditure of your budget. Being able to sign off invoices, orders, expenses etc. once a week would be good use of your time it is rarely practical. What you must prevent is the adhoc entering of budget information into your spreadsheet as this will quickly because a major source of disruption and reduce your productivity. Setting up a filing system so you retain evidence of these documents is essential. Using your scheduled time slot enables you to properly manage and monitor your budget. Monthly Budget Report – shows actual expenditure compared to planned or forecast expenditure. This can be on a cost center/area basis or by line item for each cost area. It gives an overall indication of whether the budget is ‘on-track’ or not. This might only go to your immediate manager and they only want you to report major cost center variances that are over 5 of the expected expenditure. If this goes to executive or board level they will be judging if any changes should be made to end of year budgets when compared to revenue received and forecast. This report looks at how current levels of expenditure has created the revenue to-date and how future spend will bring in the remaining figure. The Budget Steering Committee (BSC) will be the ultimate recipient of these reports and they will closely scrutinize them. Depending on the financial picture they depict decision will be made as whether or not budgets need to be amended and which ones. The executive on the BSC are personally rewarded for meeting or even exceeding revenue targets so they will demand concise and accurate reports. Any explanation that accompanies the budget report should be brief and tell in clear and concise manner why variances have occurred, what if anything is being done at this point in time to keep the budget on target and any changes to forecasts, with a single sentence description. It should highlight any major changes that have been incorporated to keep budget expenditure within the approved parameters. It is important to remember that your budget contributes to the key financial statements your organization prepares each year. This information is what stakeholders, fund managers, backers and shareholders will basis their decisions about continued and future investment on. 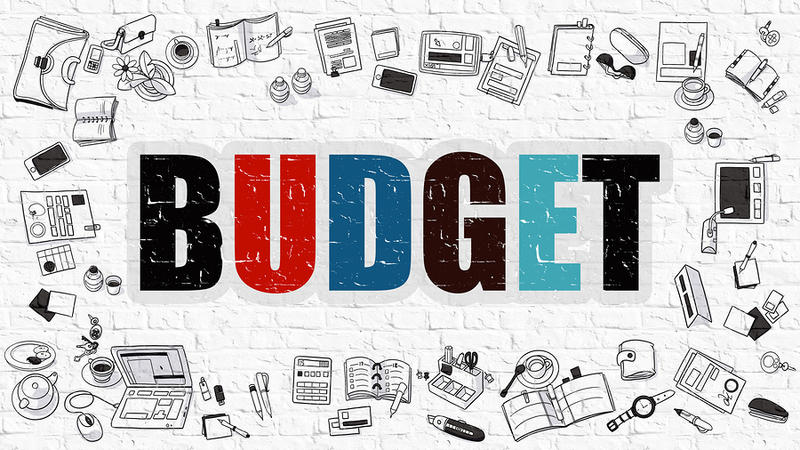 It is essential that every budget holder has a basic knowledge of the financial and budgetary terms they will hear and use whilst managing a budget. Below is a list of the some of the typical terms you will need to be familiar with. Accounts Payable – amount owed to creditors. Accounts Receivable – debts owed to the division or organization. Audit – process that checks an organization’s financial records for accuracy, errors and issues. It s a legal requirement and must be carried out by authorised and independent body. Bad Debt – means all reasonable action has been taken to collect monies but they have failed to receive any payment. Balanced Budget – projected expenses and projected income match at a point in time. Budget Deficit – expenses are significantly greater than income at a point in time. Budget Surplus – income is significantly greater than expenses at a point in time. Fiscal Year – means financial year. It determines taxes are filed, audits conducted, and legal signing off of accounts. Inventory / Stock – is made of 3 things: raw materials, work in progress (WIP) and finished goods. Line-Item – is used to refer to an expense category i.e. wages, office supplies etc. Projected expenses – figure expected to be spent for a set period for each expense item and overall in the financial year. Projected income – figure forecasted to receive in revenue or sales by source in each period making up the financial year. 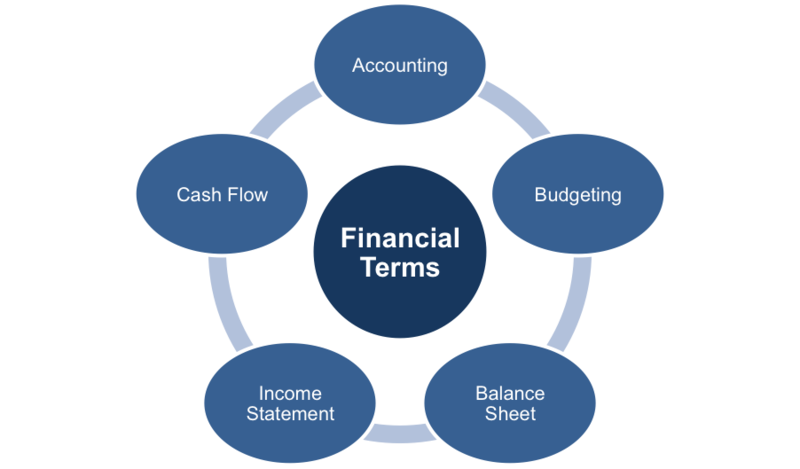 These are just a few basic terms you will come across in managing a budget if you want a more detailed list of accounting and financial statements please click this link Accounting Terminology Checklist. This checklist provides managers with precise definitions of key accounting terms. It is important to know their exact meanings to avoid misunderstandings. It is important to be aware of how management and financial accounts are produced and the differences between them. Also having an understanding of the information the four key financial statements contain will enhance your chances of promotion. Speaking the language of your seniors whether in corporations or nonprofit organizations is essential to fulfill your ambitions.